Last fall, we spoke with Royalton Music Center's President and Chief Operating Officer, Lauren Haas Amanfoh, whose grandfather opened the store 50 years ago in North Royalton, Ohio. 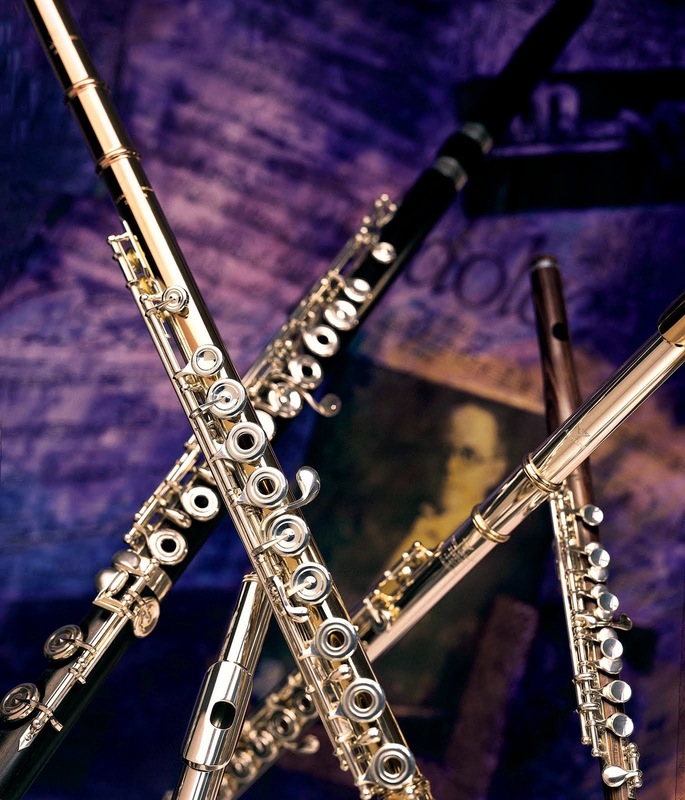 Having always been a family and community-centered business, Royalton Music Center continues its tradition of serving the needs of musicians at any age and skill level through its educational programs. We highlighted Royalton Music Center’s music therapy program in a previous post that you can read by following this link. Earlier this week, we had the chance to catch up with Lauren and find about more about "The Music Class," which caters to some of the youngest music makers! Just as Lauren witnessed the power of music therapy first-hand, she has now had the opportunity to experience "The Music Class" through sessions with her own 5-month-old son, Aiden. Lauren told us Royalton Music Center's Store Manager, Megan Malko, first introduced "The Music Class" program to the store after attending classes with her child. 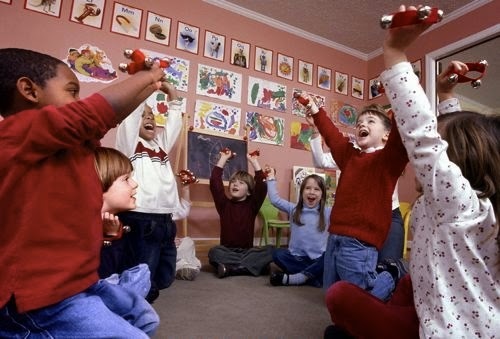 The Music Class is a national music curriculum for children up to 5 years old. The class appealed to Megan because of its strong theory-based curriculum, providing a solid foundation of rhythm and pitch. The program has a fresh collection of songs for each 10-week session, so the sessions grow with the child rather than being stagnant, and Lauren felt that the program was especially successful in preparing students if they wanted to continue in music programs in the schools. With a solid program structure and engaging materials, one of the aspects of The Music Class that Lauren felt she could help improve upon for the North Royalton community was the location. The sessions had been taking place in various locations such as churches, the library, and the recreation center. Lauren recognized that making music in a musical environment, especially with children so young, would help demonstrate to children that there is a real place for music in their community -- and music can be part of your life at any age. Lauren had recently expanded the space of Royalton Music Center and could accommodate the need to create a solid musical environment to match The Music Class's quality programming. At Royalton Music Center, The Music Class program includes free monthly classes for infants (under 1 year of age) and weekly classes that accommodate children through 5 years of age. There are seven weekly classes with the same programming for each daily class, so if a family misses one session, they can easily attend one on a different day. Lauren also mentioned that a family considering enrolling their child/children can come in and attend a session to try it out and see if it is right for them. Lauren first experienced one of the sessions this way, when she sat in with her then 3-month-old son. She was surprised at how much he enjoyed the class and mentioned that for the full 45-minute duration of the class, he was fully engaged and "did not fuss at all," which she felt was remarkable for a three--month-old! The Music Class had been growing and looking to hire a new teacher, and Royalton Music Center already had a licensed music therapist on staff for the music therapy program. With a licensed music therapist teaching classes, the program was then able to accommodate special needs children as well, who are integrated with the other students in the classes. The classes are also "mixed age," yet each activity is tailored to the students who are there. Lauren feels this is quite effective because "the younger kids aspire to do what the older kids do, and the older kids like to be leaders!" The presence of parents and other caregivers during the class allows instructors to teach them not only how to make the activities relevant to their child during class, but how to use the award winning take-home materials to continue the learning process all week long. Once students in the Music Class "age out" of the program, they can transition into private lessons and additional educational programs at Royalton Music Center -- and if the child has special needs, s/he can attend the music therapy classes. Lauren feels that The Music Class has been mutually beneficial in that she has been able to provide a musical environment for students, and the program has allowed Lauren to meet new families who can then rely on Royalton Music Center to meet their musical needs at any level. Lauren says the store's spirit is to be a member of the community and demonstrate that "music is for everybody -- anyone can play." And the store's commitment to family and the community is certainly apparent as Lauren shared, "People who got their rentals here are now bringing their kids in for The Music Class. It's not something just for musical families, though -- it's for everyone."